North America’s leading video wall rental specialist doubles the size of its U.S. headquarters. 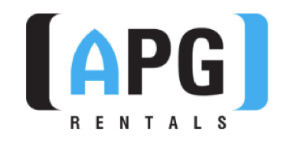 Underscoring the dramatic growth in its United States business, APG Rentals today announced that it has opened a brand new 11,100 square-foot headquarters at 9436 Southridge Park, Suite 600, in Orlando, Florida. The new headquarters is more than twice the size of the company’s original 5,000 square-foot office, and allows the rapidly expanding company to have more and larger office spaces, an expanded Product Demonstration Center, and a significantly larger warehouse, according to APG Rentals President David Weatherhead. APG will be hosting customers at their new facility in a series of Open Houses throughout September and October. Partners can discover the latest LED displays, LCD videowalls, touchscreens and ultra-large format displays in the rental market in the comfort of APG’s new facility. Details to follow for APG’s Open House dates.